Lawrence O’Donnell had a really bad night on August 29, 2017. 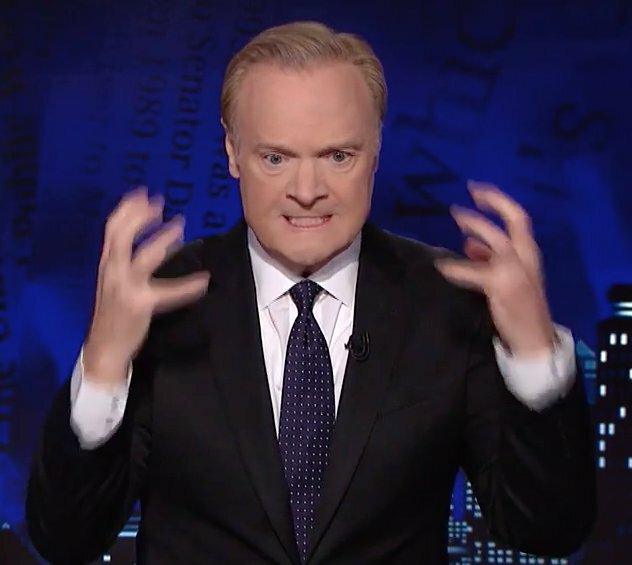 We draw that conclusion based on the… clip obtained by Mediaite, showing behind the scenes footage of a furious O’Donnell absolutely going bananas in what appear to be breaks in his show. The clip is about 8 minutes of him doing stuff like that. He really can’t deal with all the idiots surrounding him, and he lets them know about it. Note to rageball TV hosts: When the camera is on, you’re just one disgruntled staffer away from going viral. Just ask Bill O’Reilly. I’m sure Larry is taking this in stride, though. He’s not tearing through the hallways of MSNBC trying to find the leaker. Why would he? These things happen. No big deal for an easygoing fellow like Lawrence. A better anchorman and a better person would’ve had a better reaction to technical difficulties. I’m sorry. Don’t be, Larry. I really needed the laugh. Incidentally, I don’t like the name Lawrence. From now on, you’re Anchorman Pyle.